When it comes to results, you’ve got to be a fool to want to work harder than you need to, right? Well if your goals are calorie burning and weight loss - and you’ve been slogging away on the treadmill or pounding the streets in your quest to reach them - then listen up! What if we told you that you could ditch the running shoes, pick up one simple piece of kit and work for less time – and yield the same results? All you need is a skipping rope, and 10 minutes a day. When you think of cardio, usually running springs to mind. Millions of people around the world truly enjoy running and have long-distance goals they want to smash. But if the only reason you lace up your running shoes is to get a cardio workout in, then forking out over a few quid for a skipping rope to replace your trainers is going to save you some serious time. A study published in the American Association for Health, Physical Education and Recreation found that 10 minutes of skipping everyday for six weeks boasted the same results in terms of cardiovascular health as 30 minutes of jogging for the same period of time. While running targets mainly the lower body, skipping is a head-to-toe workout, targeting both upper and lower body such as the legs, core and shoulders. There are also so many ways you can skip to recruit various parts of the body more – high knees, crossovers, doubleunders… the list goes on. It’s also an incredibly efficient way to warm up for other forms of exercise when done at a slower pace. Playing around with the speed, intensity and rhythm hugely varies your workout to suit any goals. Need some ideas to fill your 10 minutes? 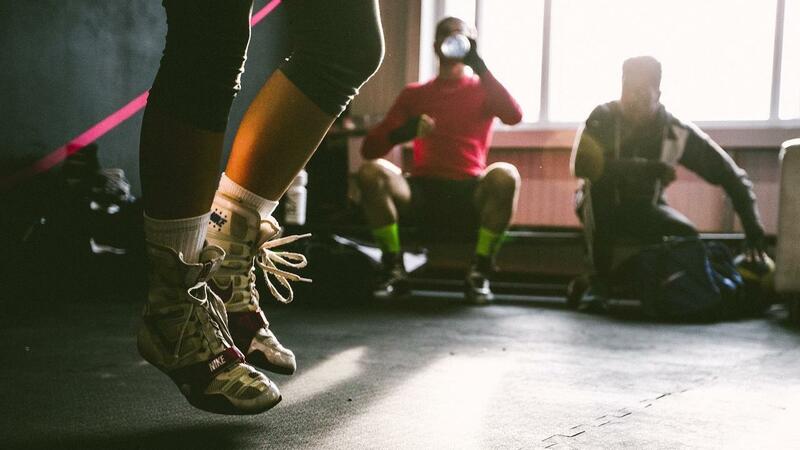 Try these three workouts. 20 seconds of regular pace bouncing from one foot to the other followed by 10 seconds of high knee sprints – repeat for 10 minutes. 10 bounces from one foot to the other followed by one double under. Repeat, adding one more double under each time until you reach 10. Then work your way back down one rep at a time – repeat for 10 minutes. One bounce on each foot, two bounces on each foot, three bounces on each foot, four bounces on each foot, five bounces on each foot. Back down to one and repeat this ladder format for 10 minutes. Looking for some skipping video workouts? Go check out our BoxxDRILLS workouts which is a combination of boxing, skipping and body weight exercises.